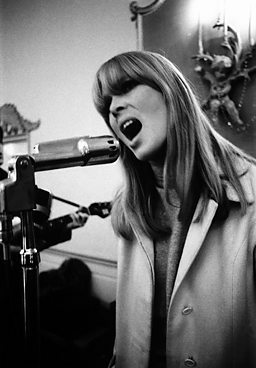 It is 50 years since The Velvet Underground & Nico album was recorded. A major new exhibition in Paris tells the story of the group which created it and of the New York scene which produced them. Parisians hold the Velvets in particular esteem and, as ALLAN CAMPBELL notes, the city itself has often been the scene of key moments in the Velvets’ history, not least a legendary appearance at Le Bataclan. It’s a cold January evening in Paris. Outside Le Bataclan an estimated 2,000 disconsolate rock fans are milling around in front of the ornate Chinese-style theatre on the Boulevard Voltaire. They are ticket-less and unable to gain access to a concert which would later be considered the venue’s most famous; a title only lost on Friday 13 November 2015, when dreadful events unfolded at an Eagles of Death Metal show. 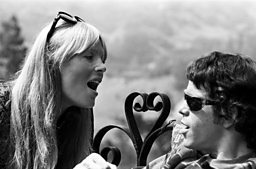 For the first time since the demise of the original Velvet Underground, co-conspirators Lou Reed and John Cale with ‘chanteuse’ Nico were to perform a one-off acoustic set at Le Bataclan for the benefit of French TV show Pop 2 and one thousand grateful fans. It was 1972; Nico was already a veteran of three solo albums; Cale had made his debut with Vintage Violence, remixed a Barbra Streisand album and cut an LP with minimalist composer Terry Riley, while Reed - surprisingly - was yet to release a solo album. In fact, on the night of the Paris concert he should have been at the Portobello Hotel in London for a ‘listening party’ for his debut LP, Lou Reed, with no less than Lillian Roxon, then the leading rock critic in the US. Despite what Melody Maker described as “a minor 'speed-freak riot' in the foyer", the Bataclan concert was a languid, beguiling affair but not quite as languid as the ensuing live album, which had been mastered at the wrong speed. France’s on-off love affair with US culture was nothing new; notably, réalisateurs Jean Luc Godard and Jean Pierre Melville had already expressed it on screen. But with the Velvets, the relationship seemed to become more geographically specific. In return for the Statue of Liberty, New York had belatedly returned the favour by sending its dark emissaries to the City of Light. And the French, who had after all defined noir, seemed especially appreciative. In 1990, when the Velvets reunited - spontaneously, it seemed - once again it would be in Paris. This time it was at the Fondation Cartier pour l'art contemporain, which had mounted an Andy Warhol multi-media show and invited key members of his Factory crowd to attend. 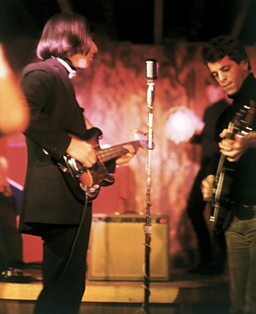 It was expected that Reed and Cale would play something from their Warhol tribute album, Songs for Drella, but they were soon joined onstage by band mates Sterling Morrison and Mo Tucker. “We kicked into Heroin, which we hadn’t played in twenty-two years”, said Cale, “And it was just the same as always. After I got off stage … I was on the point of tears”. As the location for this rapprochement suggests, it seems that Parisians have always viewed the Velvet Underground as a work of art and not just because of their association with Warhol. Now, with the 50th anniversary of the recording of their debut, The Velvet Underground & Nico, the city has again come good for the Velvets with an extensive celebratory show at the Philharmonie de Paris entitled The Velvet Underground: New York Extravaganza. Curated by Christian Fevret, founder of Les Inrockuptibles music magazine, with art director and producer Carole Mirabello, the exhibition places the Velvets at the centre of New York’s post war avant garde, probably the only environment which could have produced such a group. Paris, don’t forget what you taught the rest of us: if you keep an open heart it will beat forever. Goodnight. 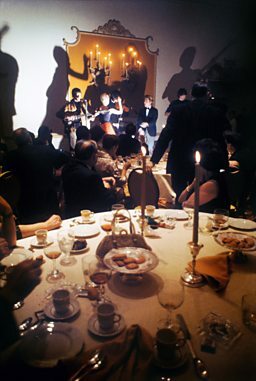 Music and visuals tell the VU story, taking in Reed and Cale’s first meeting in 1964 to their first show with Nico at the annual dinner of the New York Society for Clinical Psychiatry (Hotel Delmonico, New York, 1966), then their appearances at Warhol’s legendary Exploding Plastic Inevitable multimedia show and then on to the group's eventual disintegration. Even after all these years, the music and photographs of the Velvets scintillate. The Velvet Underground: New York Extravaganza is at the Philharmonie de Paris until 21 August, 2016.